Changes to education in Indiana are coming over the next two years with new standardized tests and federal education law, but members of the State Board of Education plan to postpone another shift around school accountability. In Indiana, schools receive grades, A through F, based on rules set by the State Board of Education, and the board decided earlier this year to change the state’s school accountability system, aiming for new rules to start this fall. 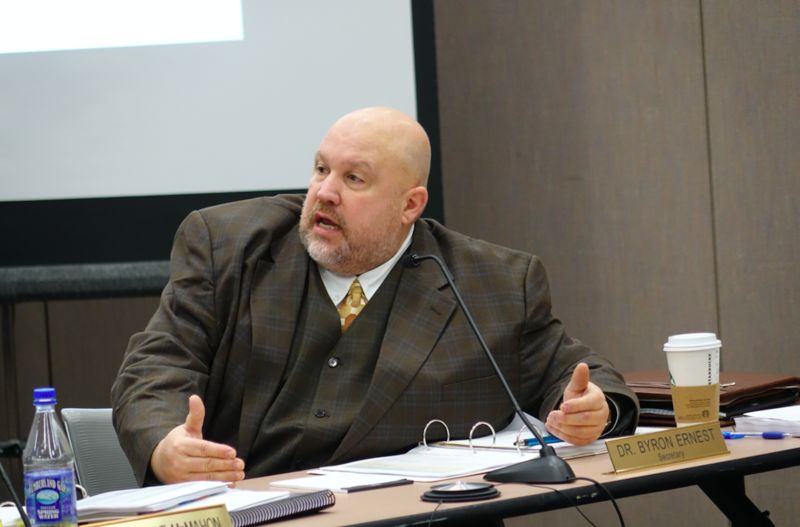 But at a meeting to consider public comments and figure out details around the board's proposal this week, many members agreed to press pause on the issue. Board Secretary Byron Ernest says, one of his goals is to find out more about how a new system can align with new graduation pathways. Other members at the meeting agreed. New federal education law going into effect this fall means schools will receive two accountability grades, but Superintendent of Public Instruction, Jennifer McCormick has pushed for the state to match the federal accountability system, to avoid that scenario. Board members will meet and likely vote on a decision to delay the new rulemaking process the first week of April.